Open Wikis and the Protection of Institutional Welfare. Andrew G. West and Insup Lee. 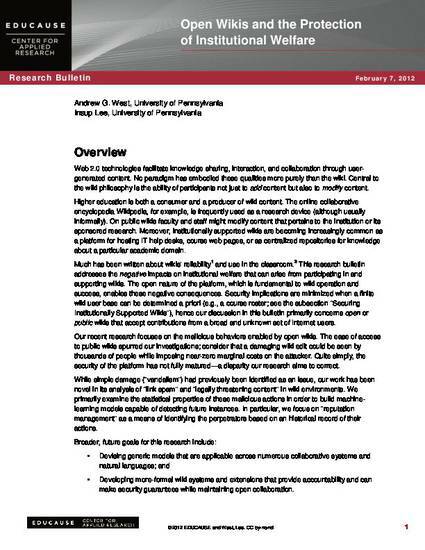 Research Bulletin, EDUCAUSE Center for Applied Research, Boulder, CO, USA, Feb. 2012.